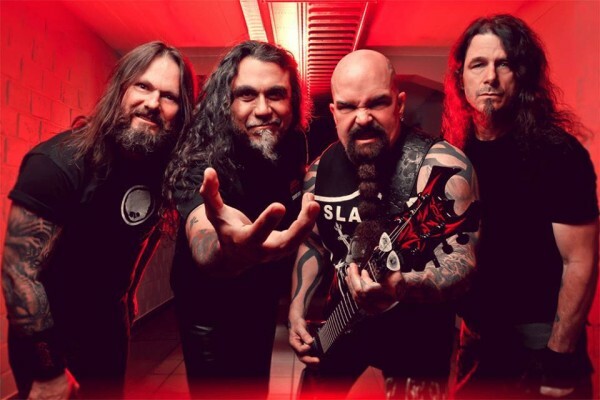 Slayer‘s Kerry King dished out his top ten favorite metal albums to Rolling Stone as part of the geriatric soft rock magazine’s imbecilic Top 100 Metal Albums list. Mr Rudd was concerned that security at the launch party at his restaurant Phil’s Place was not tight enough, according to the court summary. A month later, the court heard, he telephoned an associate saying he wanted one of the people he had fired “taken out”. 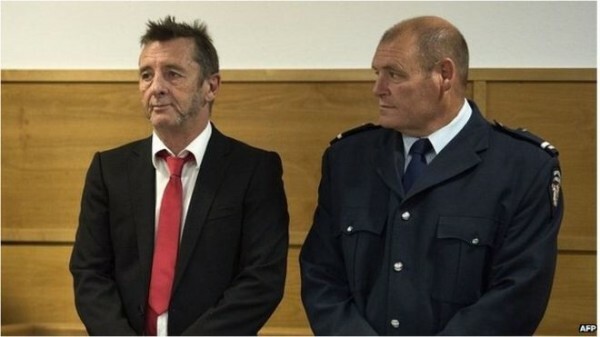 He later offered the associate NZ$200,000 ($153,000; £100,000) as well as “a motorbike, one of his cars or a house”, which the person assumed was payment “for carrying out his earlier request”. This most unfortunate development looks more like self-destruction than a realized plan. Rudd apparently also threatened the person in question via phone, which makes us wonder if he was trying to avoid prosecution at all. Most metalheads, not being of the commercially-minded type, rarely stop to think about heavy metal as a brand. Media sells a certain image with heavy metal, just like Harley-Davidson motorcycles and Jack Daniels whisky, both of which are highly successful brands. Metal forms more of a meta-brand, symbolizing rebellion and bad boy lawlessness. That image can be used to sell a lot of products, since consumers really hate the idea that they are merely being good sheep by buying whisky and transportation. In commercials, television and movies, rebellious characters are often introduced with heavy metal in the background. Fight scenes in both football and blockbusters often get the heavy riff treatment, as do superhero epics. Bizarrely, House Hunters — a television program about people choosing which house to buy — uses AC/DC style hard rock riffing in the background to its real estate epics. Anywhere boldness, bravery, rebellion and defiance must be shown, heavy metal is the appropriate soundtrack. Much of this can be seen through the use of well-known bands in movies. 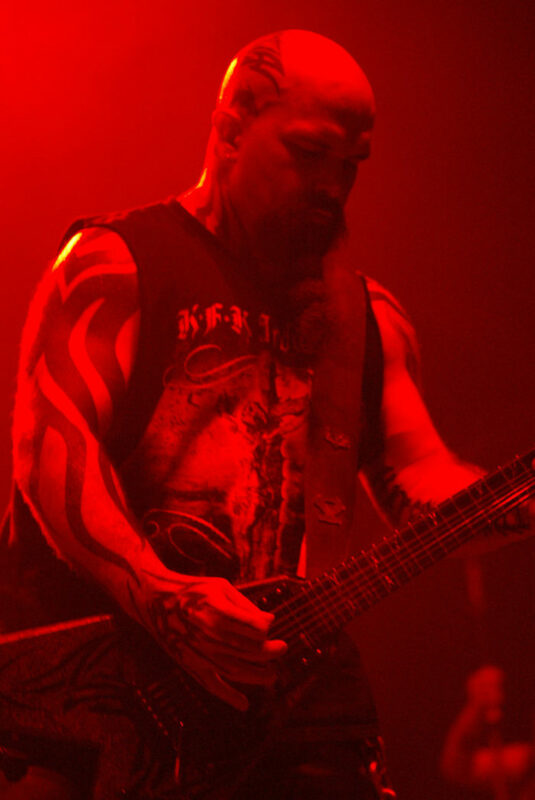 Check out how many soundtracks Slayer has contributed to, for example. The royalties from those might even outpace their album sales. At some point in the future, perhaps metal bands will put out albums and tour so that they can sell their music for commercials, television, movies, sports/MMA and house hunting. Now look at AC/DC. Metallica. Iron Maiden. Pantera. Anthrax. Compare to Morbid Angel and Darkthrone. Anyone who lived as a metal fan in the 1970s and 1980s remembers The Line: some bands were rock enough to make it into the newspaper, others were “too metal.” Major newspapers never covered Slayer, rarely covered Metallica, and generally drew The Line at anything heavier than Guns ‘n Roses. Thus even major bands like AC/DC got cut out of the mix. No more. 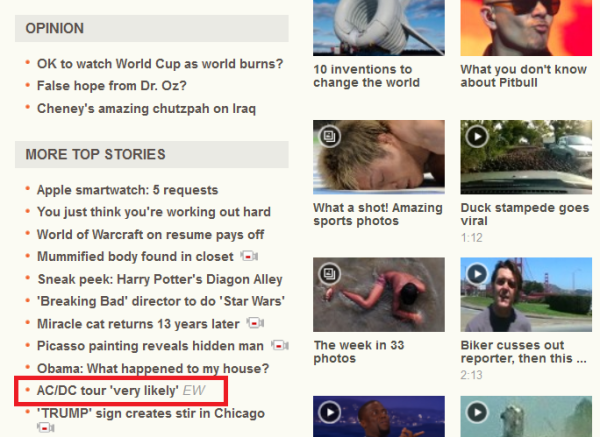 As the image above illustrates, the front page of goody-two-shoes news network CNN shows us the latest about the AC/DC 40th Anniversary Tour. Even the biggest megaphone for mainstream news which spends most of its time nagging us about our bad habits or flashing sensationalistic messages of world decay finally acknowledges heavy metal. In the 1980s, this would have been unthinkable. And yet, now we’re here. What’s behind metal’s legitimization? It’s not so underground anymore, being one of the bigger non-rock/pop genres. It’s also not so extreme, since rap opened up the lyrical gates to violence, lust and obscenity and nu-metal got radio accustomed to heavy crunch (and lyrics about parental neglect). But most importantly, metal is now an industry. With enough consistent fans and labels behind it, and those labels having found a way to “metalize” or “metal-flavor” just about anything (indie, rock, jazz, blues, industrial), metal now provides one of the pillars of the entertainment industry. Even more, heavy metal is now a recognized part of our culture. Rap music represents a certain kind of rebellion or a certain kind of irony. Heavy metal raises the flag for a certain kind of rebellion that is both cluelessly adolescent and “old soul” world-weary and informed. It’s a feeling we all have, and its appeal seems to be increasing.